Are you looking forward to achieving the maximum potential of your handloads? Going out with your rifle or gun to enjoy recreational shooting in the outdoors becomes more exciting when you are armed with extra precision and accuracy and this can only be achieved with what is known as 1/10 grain accuracy. To help you realize it, what you need is the best reloading scale for the money – a reloading scale that’s highly effective without ruining your budget. Whether you are up for a military combat or to just enjoy recreational shooting in the outdoors, it is important to take note arming yourself with a great deal of accuracy especially when it comes to your arsenal. Weighing your arsenal grains is deemed to be very necessary in order to obtain accuracy. Today, the current market offers a wide range of reloading scales and looking for the best one can be very confusing. Here are some important details and information that you need to know about three of the most popular reloading scales on the market these days. Hornady Electronic Scale. 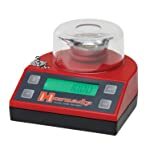 This reloading scale from Hornady weighs 1.9 pounds and uses 110 volt AC to 9 volt DC adapter. However, this scale does not have a place for a battery. The adapter is supplied with the scale. It also includes a couple of calibration weights, a large LCD and provides 1500 grain capacity. Platinum Series Precision Scale. This reloading scale is designed to measure grains, ounces, grams and carats. It features an LCD display with blue backlight. It also comes with two calibration weights that can be used for a three-point calibration purpose. This product is also designed with an auto shutoff function after three minutes or 180 seconds. Capacity of this product is 1500 grain (100 grams) while its accuracy is 0.1 grain (0.01 gram). DS-750 Digital Reloading Scale. 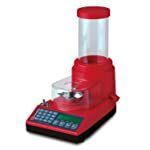 Based from its name, this reloading scale has a 750 grain capacity and accurate to -/+0.1 grain with an auto calibration design. It is also designed to measure in ounces, carats, grams and grains. This also comes with a built-in cover, a calibration weight, powder tray, storage case and batteries. Hornady Electronic Scale. This particular reloading scale product works with great precision with its load cell that can be found on its Lock n’ Load Auto Charge, making it as an excellent addition to your reloading bench. It has a capacity of 1500 grains, making it possible for you to weigh bullets, powder, cartridges, cases and more. It works with an LCD display that’s easy to read and precisely weighs to a tenth of a grain. Platinum Series Precision Scale. This scale from Frankford delivers precise measurements and extreme accuracy. It allows you to weigh powder, loaded rounds, cases and bullets with its 1500 grain capacity and 1/10 grain accuracy. It comes with an LCD display that features a high-contrast backlight, making it easier for you to read what you have weighed. With its simple controls, you are allowed to perform quick and easy changes of tare weights or units. DS-750 Digital Reloading Scale. This is another type of reloading scale from Frankford Arsenal that allows you to obtain extreme accuracy when weighing powder, bullets, loaded rounds and cases. It works with one-tenth grain accuracy so you can achieve the highest level of potential of your handloads. You can also work with it using simple controls that allow easy changing of tare weights, units or counting. Weighing also becomes simpler and easier with its high-contrast backlit LCD display. Its features and performance make this product a good addition to your loading bench. Price is an important factor that can either make or break one’s decision when opting to buy something. Here are things you need to know about the price of the best reloading scale for the money. Among the three scales we have, Hornady Electronic Scale happens to be the one that has the highest price. Despite the price, you will surely get the value of your money with its excellent performance. Platinum Series Precision Scale is in the midrange when it comes to price. With its features and functionality, you will never ever go wrong adding this to your reloading bench. Compared to the first two scales we have here, the DS-750 Digital Reloading Scale wins the position being the lowest in terms of price. Regardless of its price though, you can be guaranteed that DS-750 performs well to meet your weighing needs. Hornady Electronic Scale. This scale feels solid. IT comes with a plastic cover that protects it from debris and dust. It also comes with a finish that doesn’t easily get marred by dirt or grease. Platinum Series Precision Scale. This scale is made from quality products and exudes simplicity at its best especially when it comes to handloading. DS-750 Digital Reloading Scale. Comes with an integrated protective cover so it can’t be easily marred by dirt or grease. Check out our review videos on Hornady Electronic Scale, Platinum Series Precision Scale and DS-750 Digital Reloading Scale to have a more comprehensive way of comparing the top reloading scales on our list. A good type of reloading scale equates with a highly achieved maximum potential of handloads. Thus, it is necessary to conduct a thorough research and investigation first so that you will end up with the one that’s simply right for you. Among the three, DS-750 Digital Reloading Scale gets the highest score in terms of price and performance with a price that will never harm your budget. Though, you can still conduct a more comprehensive comparison to come up with a choice that you think is best for your needs. Feel free to read these days’ reloading scale reviews and discover other important arsenal stuff like AR 15 cleaning kit, IWB holster for XDS and scope for AK 47C7.